The trucking industry is having a hard time finding people to fill the seats. part of it is the way the industry has structured itself and the other is the way the new generation is viewing employment. we find people come into interviews with so many demands we can’t offer them employment. I created this cartoon to outline this situation. 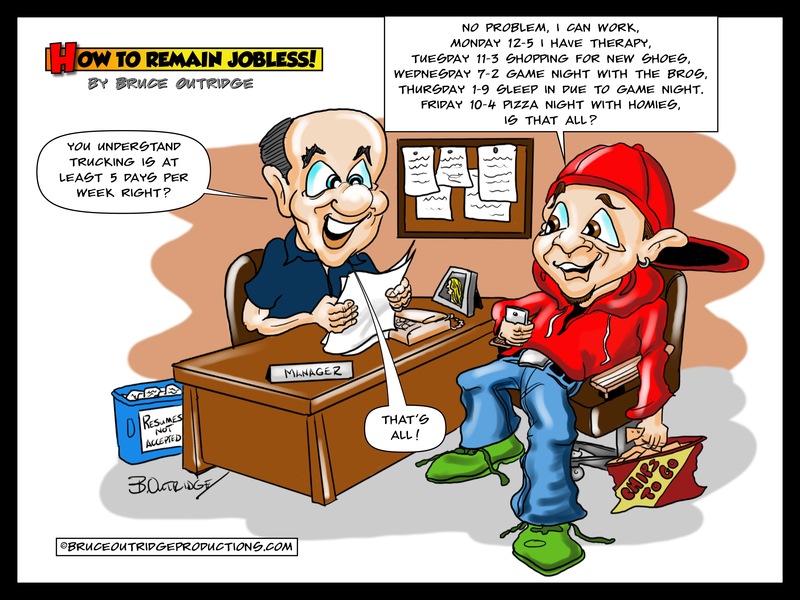 The cartoon was previously published in Ontario Trucking Magazine.